The industry-wide transformation taking place across the health and life sciences ecosystem is mandating that organizations adopt new decision-making capabilities, based on science and real-world information. 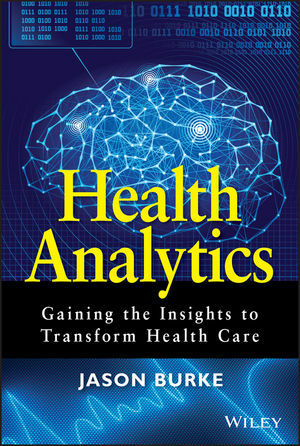 Analytics will be a required competency for the modern health enterprise; this book is about how to "cross the chasm." The ultimate analytics guide for the health industry leader, this essential book equips business leaders with little-to-no experience in analytics to understand how to incorporate analytics as a cornerstone of their 21st century competitive business strategy. Within each section and chapter, Health Analytics assesses the current landscape, proposing a new model/concept, sharing real-world stories of how the old and new world come together, and framing a "how-to" for the reader in terms of growing that particular set of capabilities in their own enterprises. JASON BURKE is founder of Burke Advisory Group, an executive consulting firm focused on helping health leaders pursue transformational programs using data, technology, and analytics. He holds an adjunct faculty appointment with the University of North Carolina at Chapel Hill School of Medicine, where he focuses on the development of new health informatics capabilities for health practitioners, researchers, and patients.